Ships every 4 weeks. Giri Estates Coffee blended with Chicory to give taste of South Indian Mysore Coffee! 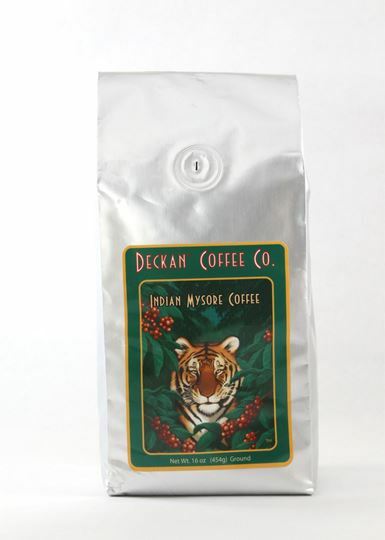 This Indian Mysore Coffee is a blend of our Giri Estates indian coffee beans and chicory giving it a stronger, woody, earthy taste. Most of the coffee served in South India is with chicory. Sweet, light bodied & fully aromatic the coffee beans are carefully selected from coffee estates of Chikamagalur, Hassan and Coorg districts of Karnataka State (formerly known as Mysore) in Southern India.